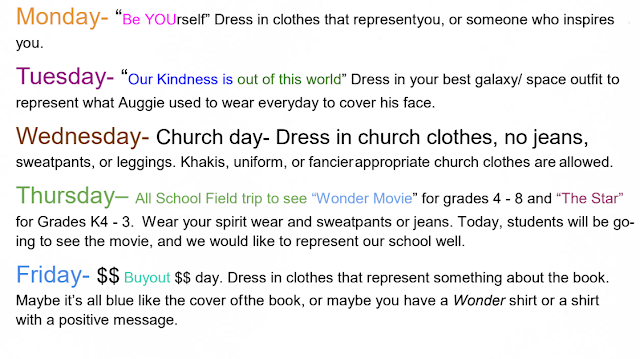 St. Mary's Parish Catholic school in Wisconsin are part of the "Wonder" movement sweeping the nation. They cleverly celebrated the book's themes and messages with a "Week of Wonder." 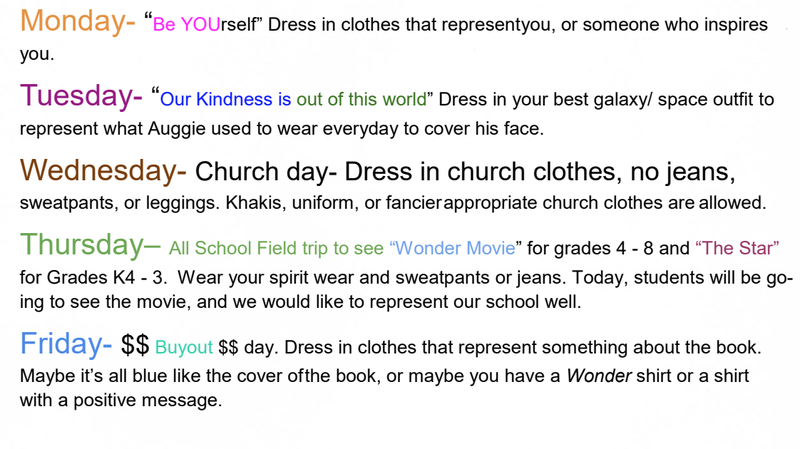 Students enjoyed theme days, where they could wear something related to what best celebrates and represents themselves, and on another day could wear something to do with the element that space in the book. They also went to the theater as a class to see the movie "Wonder." Donations were made by the school to CCA. Our school was very moved by the movie Wonder and Auggie Pullman and hosted a WOW week (Week of Wonder). 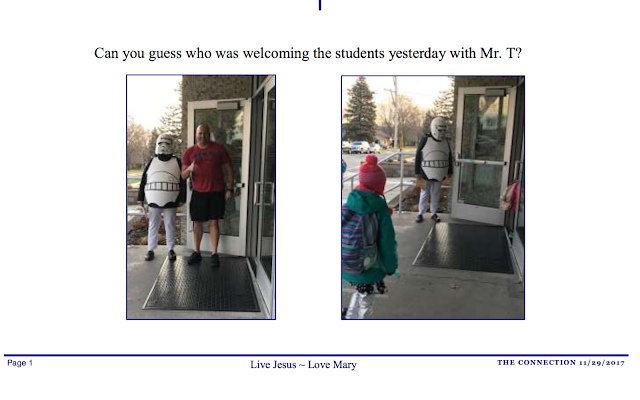 During the week, students were ‘caught’ showing random acts of kindness, special activities were scheduled and finally an out of uniform day to raise funds towards the CCA. Attached is a day-by-day listing of the special events as well as a clip from our newsletter showing the fun the students had that week. Thank you so much for your commitment to kindness, spreading awareness, and raising funds. 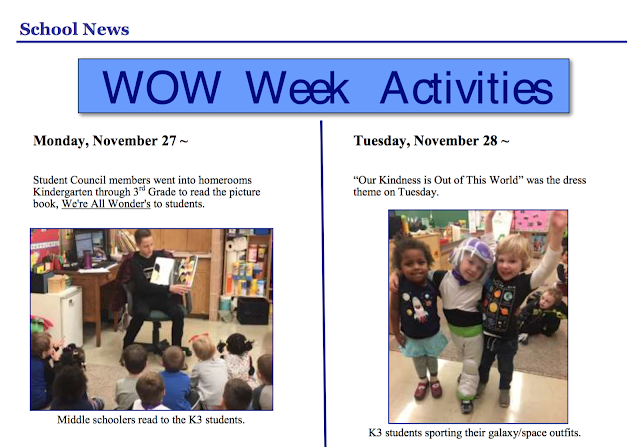 We al know that the actions taken during the Week of Wonder will lead to a better, kinder world.